The American Posture Institute is the world’s leading professional resource for posture related information, products, and correction systems. API has created a community called Posture Nation Elite for like minded health care professionals wanting to become masters of their trade. In order to give the professionals specific access to Tips, Tools, & Resources for the Posture Expert API made a separate place away separate from the website designed for the general public. Here you will find information on how to improve your posture diagnostics, correction systems, new techniques. There is access to posture specific courses to enhance the posture professionals ability to help their patients. Here there are links and ways to access or purchase posture products that every Posture Expert needs. Most importantly this is where the elite group of Posture Experts access their membership area in order to participate in the Certified Posture Expert program. A certification that is the most intensive all inclusive posture certification in the world. After completion of this posture education the Posture Expert holds the knowledge in the Top 1% of the profession. This certification is not easy, and it is not for everyone, but those who want to be the best in their field, and are willing to put their minds and skills to the test, come out as the Posture Expert. 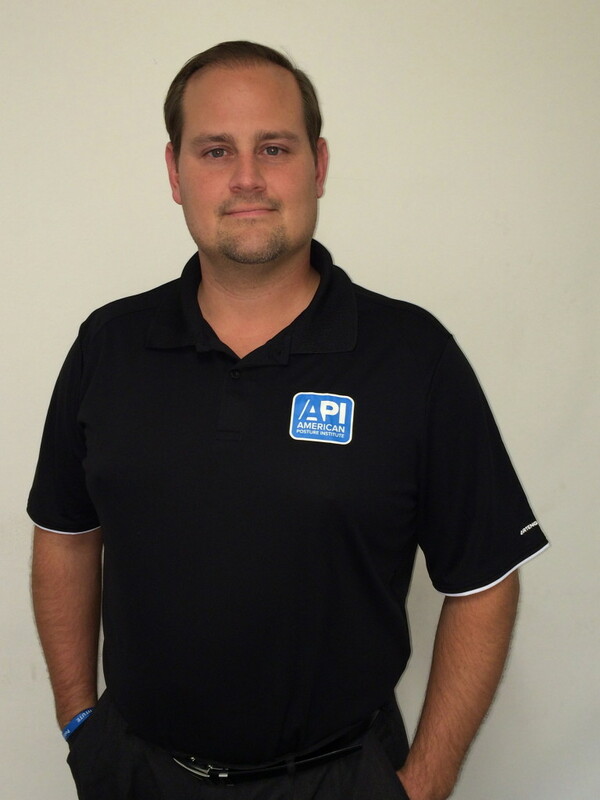 API is here to help you succeed, and become more successful in practice. Contact us with any questions, comments, or ideas on how we can make you more successful. Dr. Burns graduated with honors as a Doctor of Chiropractic from Palmer College of Chiropractic. Passionate about furthering her education, she is completing a Doctorate in Health Administration with an emphasis in Health Policy. To increase her clinical expertise she completed certifications as a Certified Posture Expert, Certified Posture Exercise Professional, and a Specialist in Functional Chiropractic Neurology. She is an inspiring public speaker and has been a featured presenter at forums such as the International Functional Medicine Conference in Italy, the UCA Women in Chiropractic Conference in England, and the Women’s Leadership Summit in the United States. Dr. Burns is a published author and researcher in the field of health and wellness. As a recognized health expert, she is a regular featured expert on Sport Magazine televised program, CYOU TV live radio program, and as a quarterly contributing author to L’Accademia del Fitness national health magazine, and a weekly expert author to NaturalNews.com. Dr. Wade has a passion for posture and health that has driven him to become one of the best Postural Practitioner in the world. Dr. Wade values the importance of increasing knowledge and advancing his ability to help others. Having graduated with dual degrees in chemistry and biology, he then raised his education to the highest level, by becoming a Doctor in Chiropractic. From this point forward as a chiropractic physician Dr. Wade is also completing a Doctorate in Public Health, establishing him as one of the few Postural Practitioners in the world to obtain this. Having a vast level of knowledge and experience Dr. Wade honed his skills specifically through many levels of postural specializations such as: Certified Postural Exercise Professional, Certified Postural Expert, Certified Functional Patterns Practitioner as well as becoming a Posturologist. Dr. Wade is the creator of the internationally renown posture programs, 12 Weeks To Better Posture™ and FITPosture™ as well as the developer of the CPC (Complete Posture Correction™) Protocol. Clinically Dr. Wade has worked with professional athletes and sports teams in every major sports arena and has served as the official Postural Practitioner for the 4 Time National Champions – Parma Panthers. He has become widely known for his ability to help individual athletes and teams perform at their maximum potential. In addition to his clinical work Dr. Wade also trains other health professionals to become postural experts, and helped develop what is considered the best postural certification program in the world. As Posture Expert we promise to bring you on going Tips, Tools, & Resources for the Posture Expert that are 100% objective with clinical focus on predictable, quality results and correction. We will bring you ongoing information, products, and courses that will allow you to quickly, easily, and inexpensively enhance your knowledge and skills to improve the quality of life of your clients. The American Posture Institute has developed over the years, through clinical practice and research, specific programs designed to increase awareness on proper postural hygiene and correct postural distortions. Each of these programs is designed to establish fundamental postural knowledge that allows the learner not only to increase their awareness on postural hygiene, but also to instantly incorporate important posture tips, exercises, and habits into their daily life. API’s programs are designed to help groups and individuals learn quickly and easily what is their current postural distortion patterns, while taking away fundamental information on how to improve postural habits at home and in the work place. Each of these programs are effective in correcting postural distortion patterns and optimizing human performance. Long-term postural correction is obtained with emphasis of three foundational components: Spinal Alignment, Postural Rehabilitation, and Posture Habit Re-Education. This 12-Week program integrates very specific re-alignment techniques through the Complete Posture Correction protocol, and important exercises to improve the movement of your joints and the balance of your body against gravity. This program is created upon the Posture ABC’s: Alignment Balance, Core Control, and Stretching. FITPosture is designed for individual athletes and sports teams who are dedicated to performance. Every professional athlete knows they can not achieve maximum performance unless they have maximum function. This all begins with posture. This program is one of the only programs in existence designed to help athletes improve their posture, while enhancing their function to allow maximum human performance on and off the field. Whatever the reason, if you want to WIN you need to have FITPosture. 12 Weeks To Better Posture KIDS is designed to give your child the tools they need to grow up strong, healthy, and pain free. This program is designed to target key habits for kids to build proper posture and prevent health problems related to bad posture in a fun and efficient method. Better Posture For Brighter Futures is a comprehensive postural hygiene program with the purpose of improving postural hygiene awareness in the education system for school aged children. This program is designed to give teachers, students, and parents the tools they need to develop proper postural hygiene. Proper posture is an essential component to raising healthy families. The American Posture Institute is dedicated to increasing postural awareness to create healthier communities. Corporate Posture Program is a comprehensive postural hygiene program with the purpose of improving ergonomic and postural hygiene awareness in corporate businesses. Proper posture and ergonomics in the workplace is a highly advantageous element to increase efficiency that many corporate businesses are currently missing. The Corporate Posture Program combines postural and ergonomic education and recommendations to help improve the work conditions of corporate businesses in all sectors.